Mountain Mavericks are very proud to take on Chalet Montana. A passion project from head honcho; Olly, Mountain Mavericks is evolving the Chalet Montana into the Ridewell Lodge from this Summer onwards! 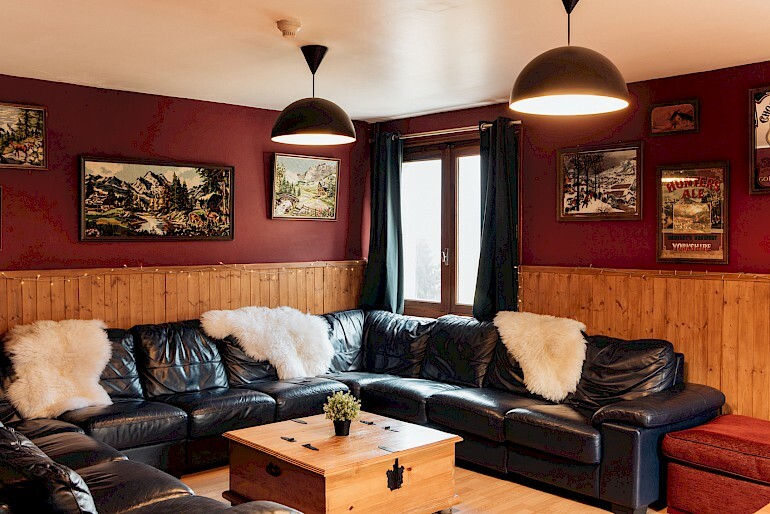 The Ridewell Lodge aims to keep everything that previous owners Zeb & Amie have created, whilst adding elements we’ve found our guests have liked and enjoyed on their holidays in the nearly 15 years we’ve been running Mountain Mavericks in Morzine. The Ridewell Lodge will become a great extension of Mountain Mavericks; focusing on fantastic customer service, ease of contact, hearty food, friendly hosts and clean accommodation as well as a ‘rider owned’ feel with a fleet of Rome Snowboards, weekly film evenings, craft beer, evolving wine menus, gin tastings and events. Five years ago the Ridewell Lodge brand was born. Having dedicated the majority of my life to Snowboarding & Mountain Biking, I wanted a place where I could host other guests with similar interests. Somewhere with easy access to the lifts so that you can be first up the hill and be the last one off. Somewhere with a nice social area where I could meet like-minded mountain enthusiast and enjoy a beer or two whilst sharing stories. Although I’ve spent over a decade in Morzine doing the thing I love, it’s been hard for me to find the right property to create The Ridewell Lodge. However this year I found Chalet Montana, the perfect property for myself and the further Mountain Mavericks team to create what I’ve been envisaging every time I get on a chairlift. Zeb & Amie have created something truly unique with Chalet Montana, and we want to keep everything they have done to make their guests experience memorable so that the fun ethos doesn’t change, and I want to add a few things that I’ve learned that my previous guests have loved during their holiday time in Morzine. Mountain Mavericks, a company which started with one very homely chalet and has expanded to running multiple catered chalets and hotels in Morzine, we hope that the Ridewell Lodge will become a great extension of Mountain Mavericks; focusing on fantastic customer service, ease of contact, hearty food, friendly hosts and clean accommodation. However, I will be adding my own ‘rider owned’ feel to Ridewell Lodge with a fleet of Rome Snowboards weekly film evenings, craft beer, evolving wine menus and my favourite; gin tastings. Previous: The Best Hiking Routes Around Morzine.